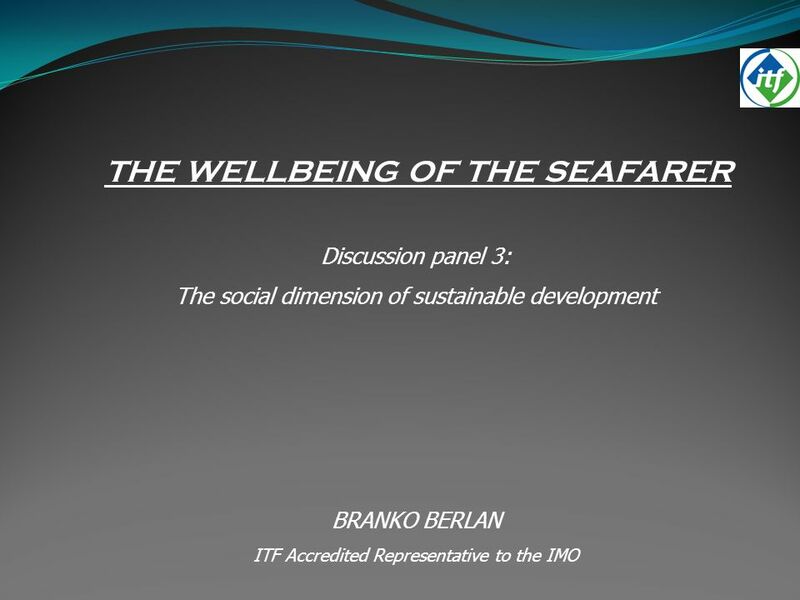 THE WELLBEING OF THE SEAFARER Discussion panel 3: The social dimension of sustainable development BRANKO BERLAN ITF Accredited Representative to the IMO. 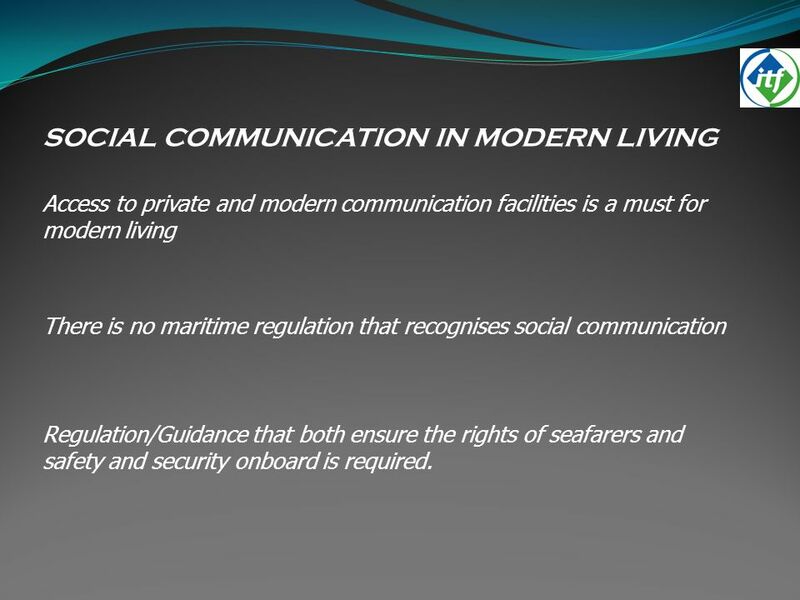 3 SOCIAL COMMUNICATION IN MODERN LIVING Access to private and modern communication facilities is a must for modern living There is no maritime regulation that recognises social communication Regulation/Guidance that both ensure the rights of seafarers and safety and security onboard is required. 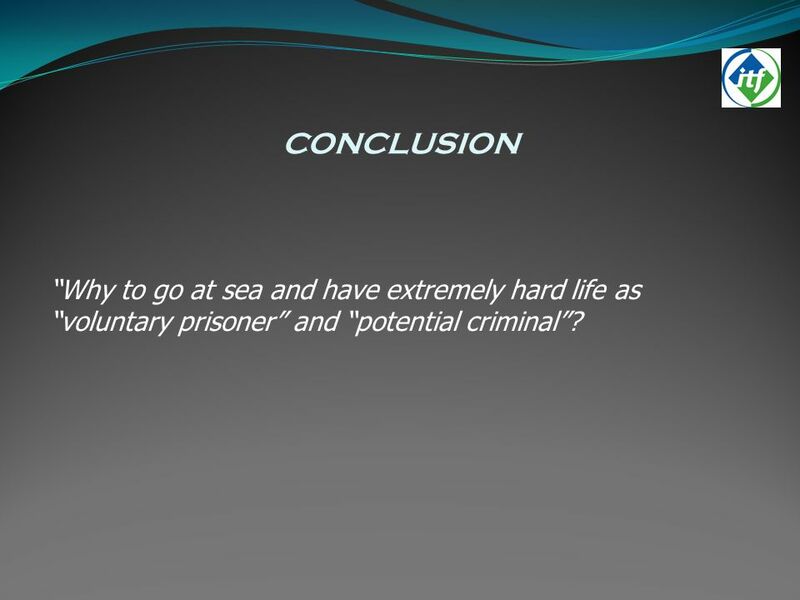 7 CONCLUSION Why to go at sea and have extremely hard life as voluntary prisoner and potential criminal? 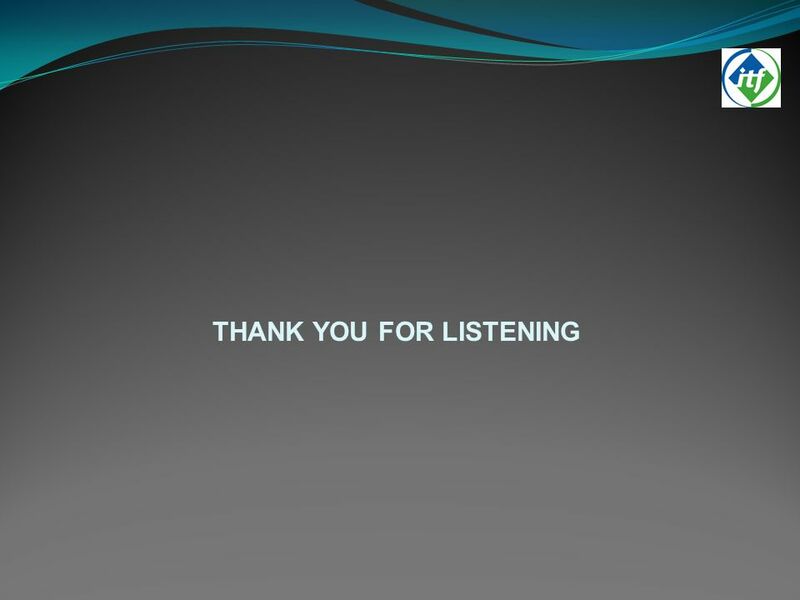 Download ppt "THE WELLBEING OF THE SEAFARER Discussion panel 3: The social dimension of sustainable development BRANKO BERLAN ITF Accredited Representative to the IMO." Trade Facilitation – Impossible Without Facilitating Logistics Simon Bennett Secretary, International Chamber of Shipping WTO Forum, Geneva, 25 September. The Seafarers Bill of Rights – a Union View Mark Dickinson General Secretary ILO Maritime Labour Convention 2006.
International Transport Workers Federation – ITF Green Jobs in the Maritime Sector Social Aspects of Sustainable Maritime Development Antonio Rodriguez. Transport EU Maritime Security Policy and legislation Christian DUPONT Deputy Head of Unit for Maritime & Land Transport Security DG Mobility and Transport. A synopsis. 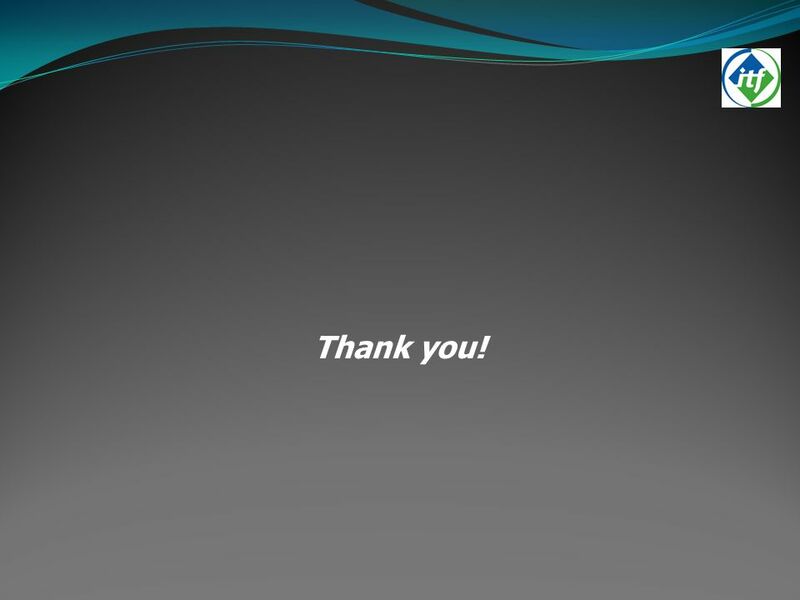  Article 19, section 3 of the International Covenant on Civil and Political Rights.” “The exercise of rights are x x x subject to restrictions. Promoting Careers in International Shipping Tony Mason, Secretary General International Shipping Federation IMO, 17 November 2008. European Maritime Day Stakeholder Conference "Port & Maritime training & education" 20 May 2010 Gijon Peter M Swift, MD INTERTANKO. GO TO SEA! 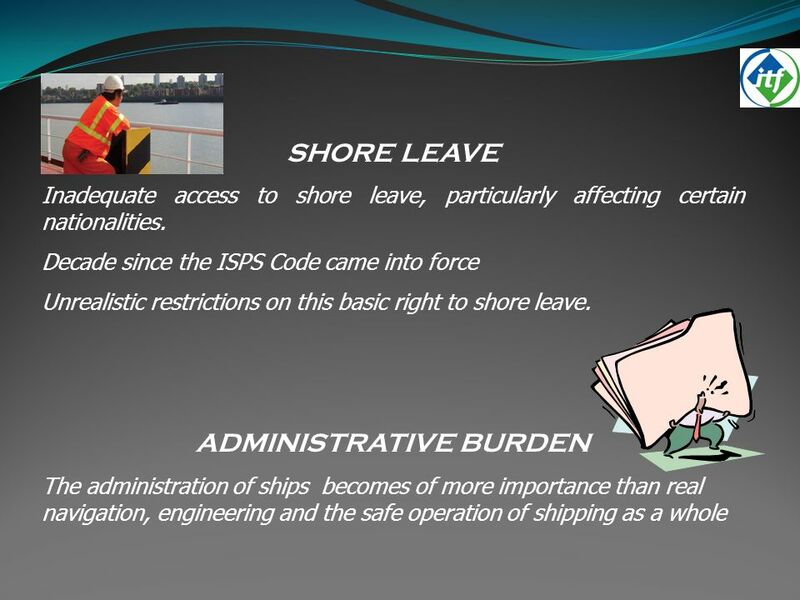 A campaign to attract entrants to the shipping industry IMO In association with ILO BIMCO, ICS/ISF, INTERCARGO, INTERTANKO, ITF November 2008. 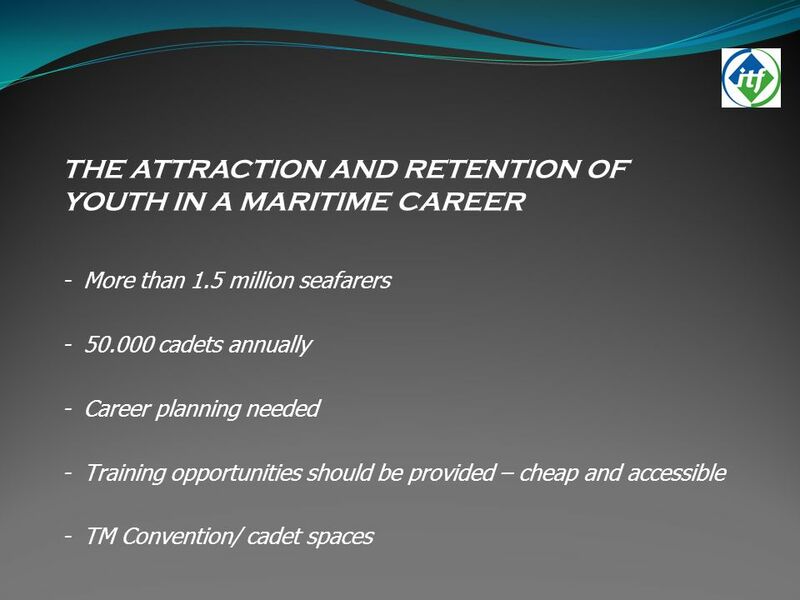 North American World Maritime Day 2014, Cozumel, Mexico, Oct 22nd-24th EDUCATION, TRAINING AND WELFARE OF FUTURE MARINERS MSM. CAP. MIGUEL ÁNGEL OSUNA. ‘A new paradigm for seafarers well-being’ The Revd. Canon Ken Peters Director of Justice & Welfare The Mission to Seafarers Maritime Labour Convention. Workplan Priorities INTERTANKO Mission Provide Leadership to the Tanker Industry in serving the World with safe, environmentally sound and efficient. 2008 Tripartite Meeting Beijing, 7-9 November Welcome ! Maritime Security from the Viewpoint of Maritime Labor George A. Quick Vice President International Organization of Masters, Mates and Pilots.